Items 204- out of displayed. 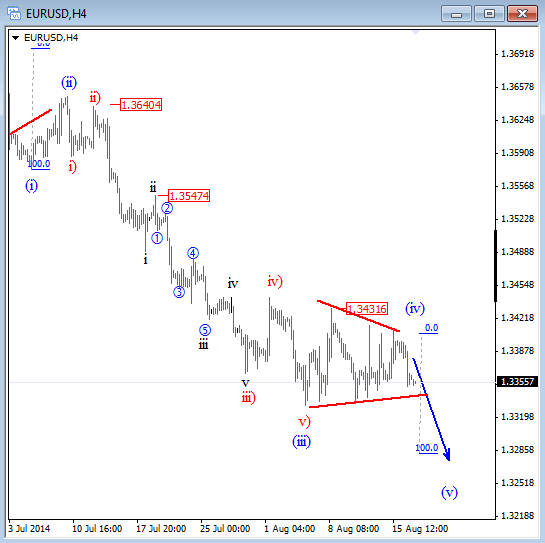 On On EURUSD we were looking down with our members yesterday, for a drop into wave five as reaction to the NFP figures was nothing else than just another correction within downtrend. Well, new lows were seen recently, which is now fifth wave of a five wave decline from 1.3219 with current price testing some important Fibonacci levels. We see price at wave i)=wave v), and also at 261.8% Fibonacci extension level compared to wave i) measured from wave ii) high. Despite that, there is a divergence on the RSI between waves iii) and v), suggesting a limited downside as well. As such bounce could follow soon, but ideally that one will be again only in three legs back to 1.2980-1.3000 resistance area. 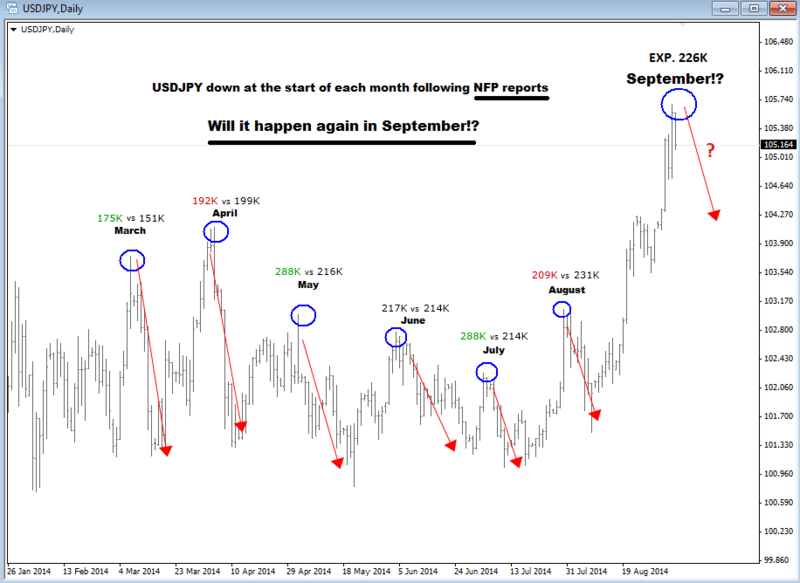 Each time for the past 6 months when NFP data came out, no matter if it was good or bad, USDJPY turned south at the start of the month. Recent move up on USDJPY is very extended, so it can be time for some corrective move for sure. Will NFP be again a catalyst for the move!? We will see, but anyhow, I am not interested in any shorts at this stage, but could considering them next week if drop would be significant. At the same time we should not forget on US yields and the stocks market that is at all time highs. US markets will open in less than 10mins with the cash market at their highs. We were looking for that push up in this week as latest sideways price action was just another correction within uptrend. It was fourth wave so market is now running up in wave five of an impulsive structure from August low which means that upside can be limited. 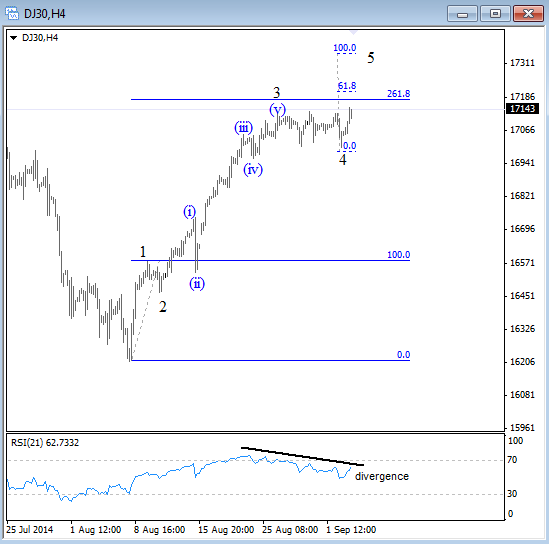 But there is room for 17200 on DJIA, or even 17350 if gains will stay here till the NFP that can be a trend changer. However, I would not be buying here, expecting a retracement soon. 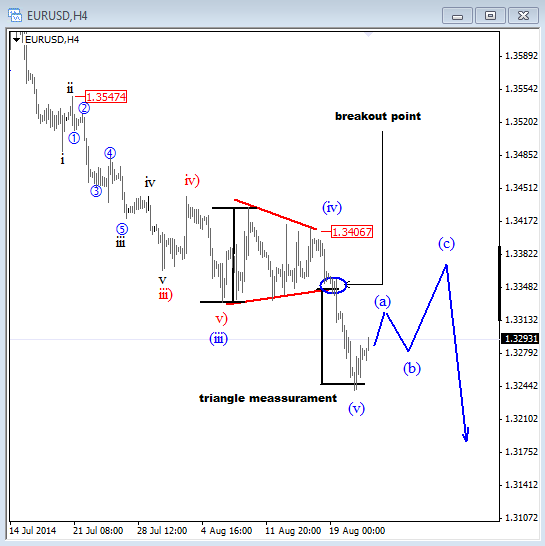 EURUSD At The Lows-What Now!? 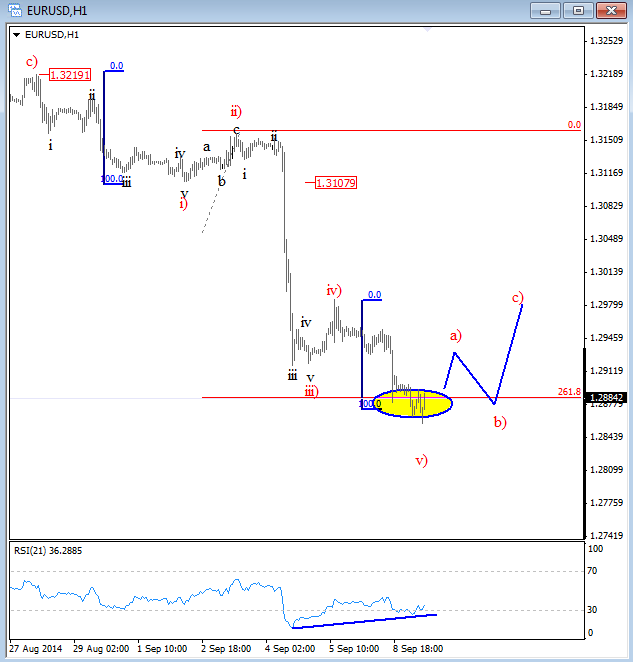 In our latest newsletter we highlighted and predicted a coming breakdown on EURUSD. Well, pair is now at the lows, it broke into wave (v) as expected, after recent sideways price action in wave (iv) that we labeled it as triangle. Triangle occurs prior to the final leg within a five wave decline, so we think that current leg down from around 1.3400 will complete an impulse of a higher degree. With that said, sooner or later market will turn up, ideally from current "triangle measurement level", but only into a temporary and just another correction. Usually when fifth waves complete the impulse structure you will see a reversal back to the area of the former wave four. In our case that comes in around 1.3400/1.3430, so we may see a solid recovery before downtrend resumes. From trading perspective, we see EURUSD at the lows, so definitely would love to wait on a solid pullback before joining the bearish move. In some rare cases this fifth wave will be extended out from a triangle, but that's not very often, so we definitely will be waiting a bounce. EURUSD is trading sideways in 100 pip range which we see it as a pause within ongoing downtrend. Market never moves in straight line so corrections will always occur, and we believe that recent range is just one of them. We see pair that slowed down in fourth wave of an impulsive weakness. This fourth wave can form many different corrective patters but based on latest price action we see a good possibility for a triangle which is a continuation pattern so sooner or later market is expected to break down into fifth wave towards 1.3300 psychological level, or even to 1.3250. On the upside any rallies should be limited around 1.3410 or 1.3430. Based on latest price and market swigns there could be something interesting going on metals, so it's good to refresh the memory and focus on the larger trend and price levels that can be seen in months ahead. Below you will find video analysis on silver back from late April of this year.